Why is the English language so weird? Why is this? Well, the wonderful folk over at Mental_floss have compiled a handy little video to explain just this. In words and pictures, they give us a brief history of our weird spelling system and the people who made it. The story starts with the missionaries who first wrote English – their impression of the Germanic language of the native Anglo Saxons – down as best they could using the Roman alphabet they knew. They made a reasonable job of it – once they’d found extra letters to cope with the pesky Germanic sounds they didn’t have in Latin (such as th or gh). But the pronunciation changed. This is partly down to the arrival of the French (1066 anyone? ), but it’s also because of the various different regional accents spoken across Britain – and because of the choice of letters used by printers using newly invented printing presses. As the centuries rolled by, the language evolved as reformers began to alter existing spellings, basing their decisions on the Latin and Ancient Greek variations. A couple of centuries later, and words imported from foreign countries were kept more or less as they were. Although, in some cases, as with the word colonel, words were created from two foreign (in the case of Colonel, French and Italian) spellings and pronunciations. Attempts to standardize and control language have often been aimed at simplifying English – but have had numerous unforeseen implications. Often, language becomes more complicated – not because of new rules; but because of new people and new ideas. What this means for the future of English is that it will continue to evolve and mutate. New words will be added and the meanings of existing words will change. The reflection of this will be seen in our dictionaries, which reflect popular choices of spellings and words. Think “LOL”, “Selfie” and, last year, the “smiley face” “Emoji”. In short: the history of English has not yet been written. The one constant of the language that will exist long into the future just as it has been with it through its past, is that it will remain, undeniably, weird. In explaining how the act of reading can be likened to a drug-taking experience, the masterful essayist, stylist and author, E. B. White, noted how this “sort of ecstasy” could only be derived from literature “under ideal conditions”. What exactly are these conditions? Are they similar to those unique requirements writers need to help them through the process of writing? Or are they universal – accessible to anyone and everyone of us? Perhaps a clue lies in the conditions present in those most important centres of creativity and learning: the public library. These monuments to human thought and communication, which have that fascinating ability to function both as institution and metaphor. Of course, no library is alike, yet we ascribe them all a set of conforming features: studiousness, solitude and quiet, above all else. From the earliest scholastic archives of writing at Ugarit of Ancient Egypt, libraries have been models for the world and models of the world; they’ve offered stimulation and contemplation, opportunities for togetherness as well as a kind of civic solitude. They’ve acted as gathering points for lively minds and as sites of seclusion and solace. Most importantly of all, they have provided countless doses of White’s “ecstasy” to readers and writers, because of the conditions inherently present within the walls of every library, and the corridors of books within them. Part of the reason for this is clear. In our digital, Post-Fordist world, it is becoming harder and harder to free ourselves from distraction. To find solace and places of quiet. To think hard about something for thirty minutes instead of thirty seconds. Of course, the fundamental need to slow down – to find the time and space to think – is nothing new. For centuries, wiser souls have reminded us that we will never be happy unless we live quiet lives. “Distraction is the only thing that consoles us for our miseries,” the French philosopher Blaise Pascal wrote in the 17th century, “and yet it is itself the greatest of our miseries.” He also famously remarked that all of man’s problems come from his inability to sit quietly in a room alone. It is the opportunity libraries offer us to sit quietly by ourselves that makes them such fitting sanctuaries for books. As we lift a book from a shelf carrying the words of so many others, these buildings remind us, in their calm, quiet serenity, of the conditions in which the words are best read. For it is within these conditions that some of the greatest rewards from reading are reaped: these being a deeper consciousness of oneself, increased creativity, increased freedom; increased joy. 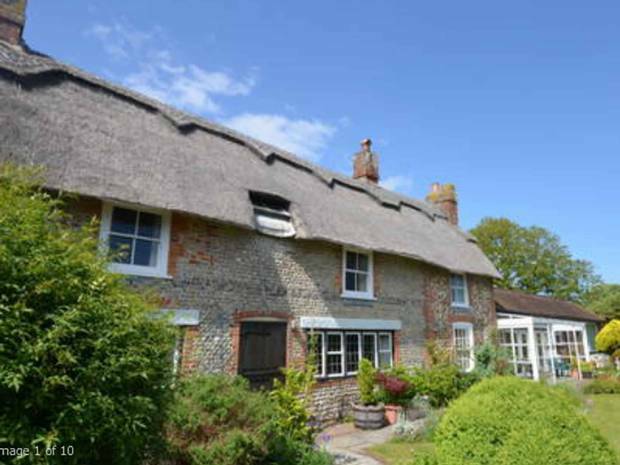 After an ambitious crowd-funding campaign, the Blake Society has successfully purchased Blake’s cottage – a quaint, Grade II listed home in Flepham, Sussex. The cottage is where the Great British poet wrote ‘Jerusalem’, and Flepham is where he was arrested for sedition. The house has been preserved in much the same state as it was when Blake lived there – it even still has the vegetable patch seen in many of the poet’s famous sketches. Tim Heath, Chair of the Blake Society, said that the idea of placing the home into a trust for all those inspired by Blake was first mentioned 22 years ago, on “a summer’s day in 1993” over tea. 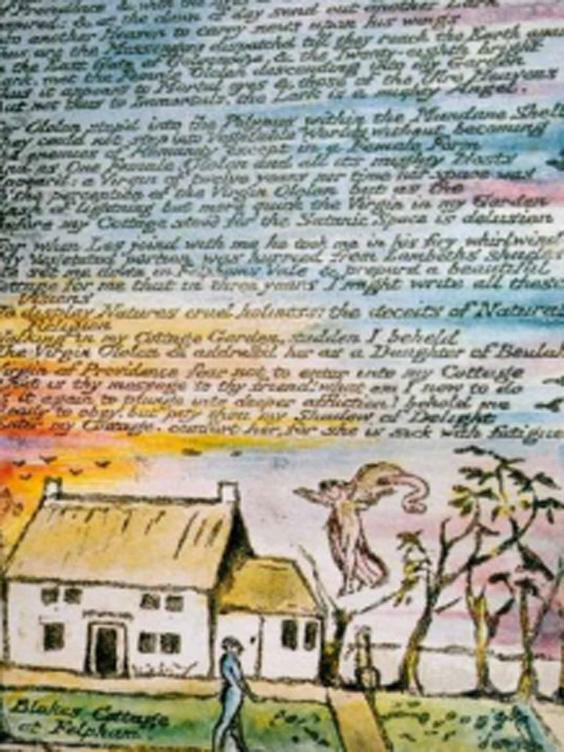 “The cottage is where Blake wrote the poem ‘And Did Those Feet …’ while he was awaiting his trial for Treason,” Heath explained. “And so there is a special irony in how this radical poem Jerusalem has become a national anthem, a hymn to dissent and a song that challenges both the Singer and the State.